With the launch of WorldSIM Infinity, WorldSIM’s network now encompasses 50 million Wi-Fi hotspots and 600 mobile networks in 200 countries. LONDON, 2016-Jun-29 — /Travel PR News/ — WorldSIM, is now the most connected network in the world. 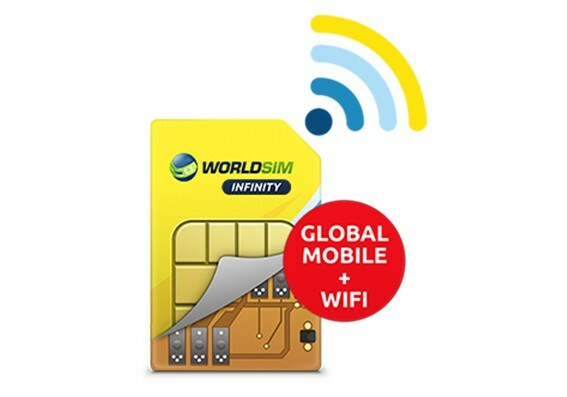 Known for their roaming solutions, today WorldSIM announced the launch of WorldSIM Infinity; a combination of worldwide mobile and WiFi, with users having a multitude of connectivity options across the globe. Through WorldSIM’s innovative roaming solutions, travellers can already get the widest mobile data coverage at lowest rates with over (600 operators in 200 countries). WorldSIM Infinity goes even further by combing mobile coverage with over 50 million WiFi hotspots globally. Now even the heaviest data users can be catered for without breaking the bank. With over 1 billion international trips a year and growing, WorldSIM Infinity is ready to empower todays modern traveller, keeping them connected affordably across the globe – even when they are in-flight. WorldSIM Infinity gives users seamless connectivity when they roam internationally, regardless of whether it’s WiFi or mobile. Travellers can always connect fastest network at the lowest cost. Users are able to continue to make and receive calls irrespective of whether they are connected to WiFi or mobile, always benefiting from the best combination of speed, coverage and cost. Whilst on the WorldSIM WiFI network, users will also have the reassurance that all their data is secured through encryption, unlike when they connect through most free WiFi hotspots. WorldSIM’s Infinity is available to both leisure and business travellers. It can also be white labelled and integrated into existing MNO and MVNO Services as well as OTT Applications. WorldSIM is the world’s leading mobile roaming solution provider, delivering innovative products and services that facilitate travellers to stay connected affordably wherever they are. For more than 10 years, WorldSIM has been reducing the cost of international roaming and simplifying complexity to deliver the promise of truly affordable mobility – a simple, seamless experience, anytime, anywhere. Connect with us: WorldSIM on Facebook or WorldSIM on Twitter. This entry was posted in Business, News, Travel, Travel Services, Travel Tech, Travelers, Trips and tagged Andrea Crome, Arif Reza, communication, global wifi, innovative roaming solutions, international roaming, international trips, roaming, roaming charges, travel gear, travellers, WiFi, WiFi hotspots, WorldSIM. Bookmark the permalink.